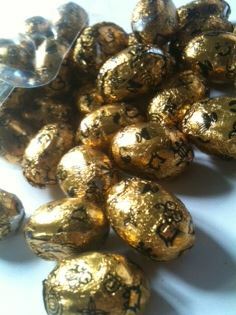 One of the things that Easter is known for is the huge amounts of chocolate that are purchased and presumably consumed. This means sugar-fueled kids and adults eating some of the worst chocolate for their bodies. Lately, better chocolate eggs have been introduced on to the market and taste deliciously awesome. Divine have a delicious dark chocolate egg with two bars of chocolate included with minimal packaging making them Eco-friendly and better for you. The dark chocolate solid eggs are a brilliant addition to the range I got to review this year. I was gifted a bag of these and some milk chocolate honeycomb bees during a visit to the pop-up shop. 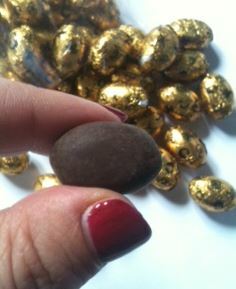 I really encourage people to try these are they are in small eggs so not an overwhelming amount plus they are delicious. The dark chocolate I feel is one of the best lots they’ve done. It is not at all bitter, smooth, flavourful and quite pleasant. The dark chocolate is surprisingly well balanced for sweetness and flavour, making it a nice middle-of-the-road chocolate. It isn’t milk but it isn’t too sweet. It isn’t bitter and it isn’t strong. It’s probably the best eggs to have in a little bowl for the kids to be able to eat. The lower sugar content is great for big and small kids and they are delicious so really perfect to wean yourself (or your family) of the sugary milk chocolate. Divine doesn’t use added palm oil and so unlike some commercial chocolate it does not impact on the habitat of gorillas and other wildlife. So with Divine not only are you improving the lives of farmers, you’re also improving the planet.